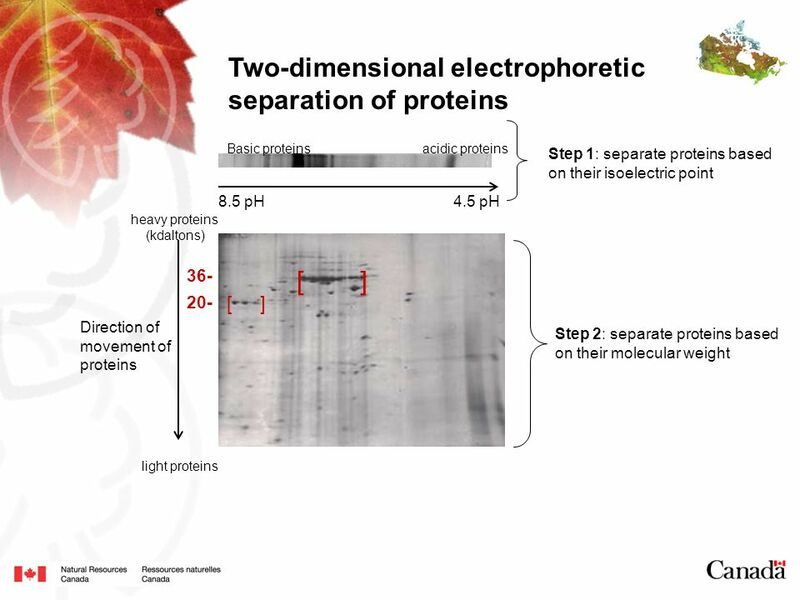 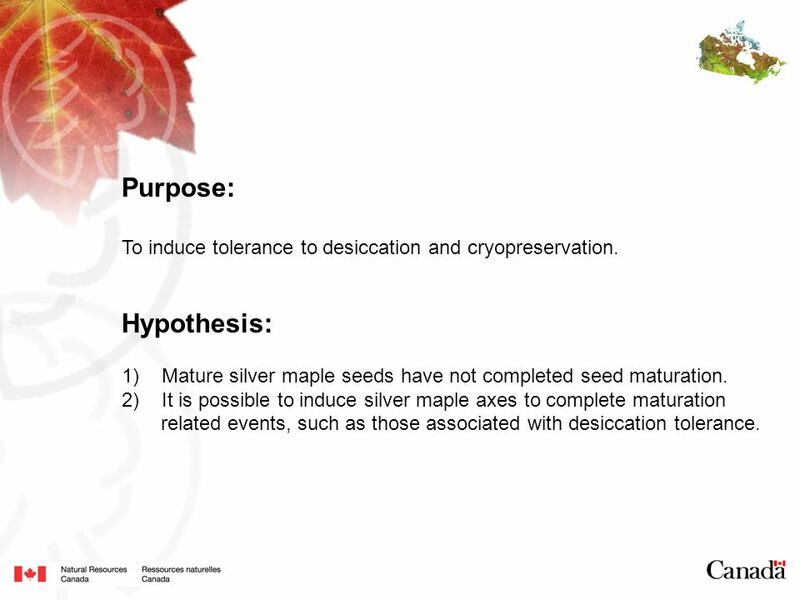 5 Purpose: To induce tolerance to desiccation and cryopreservation. 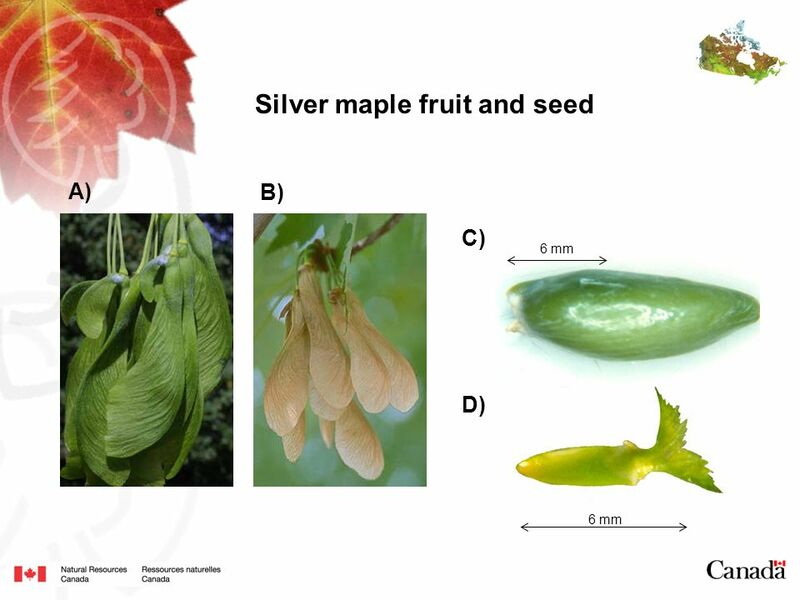 Hypothesis: Mature silver maple seeds have not completed seed maturation. 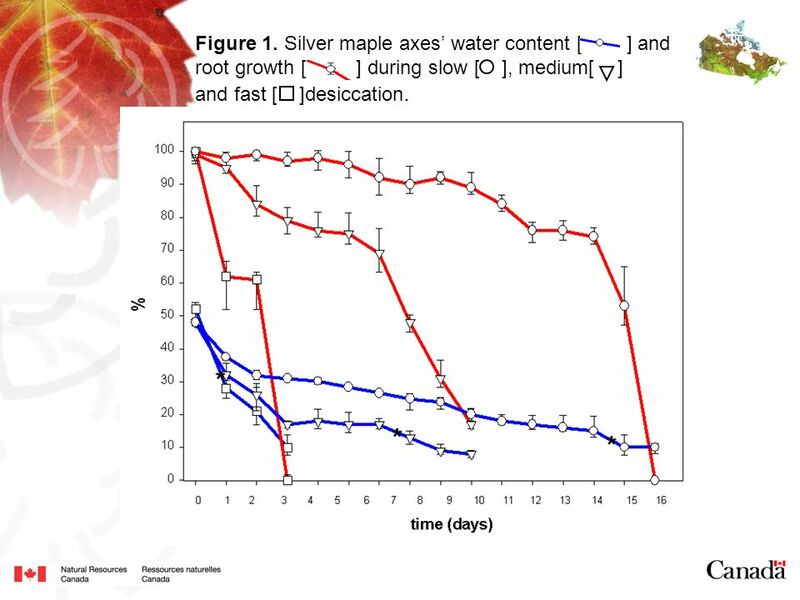 It is possible to induce silver maple axes to complete maturation related events, such as those associated with desiccation tolerance. 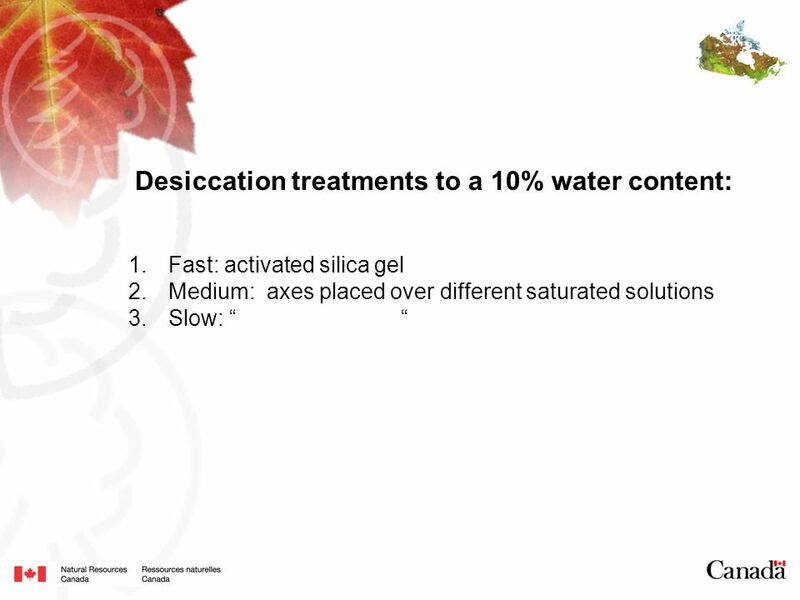 root growth [ ] during slow [ ], medium[ ] and fast [ ]desiccation. Table 1. 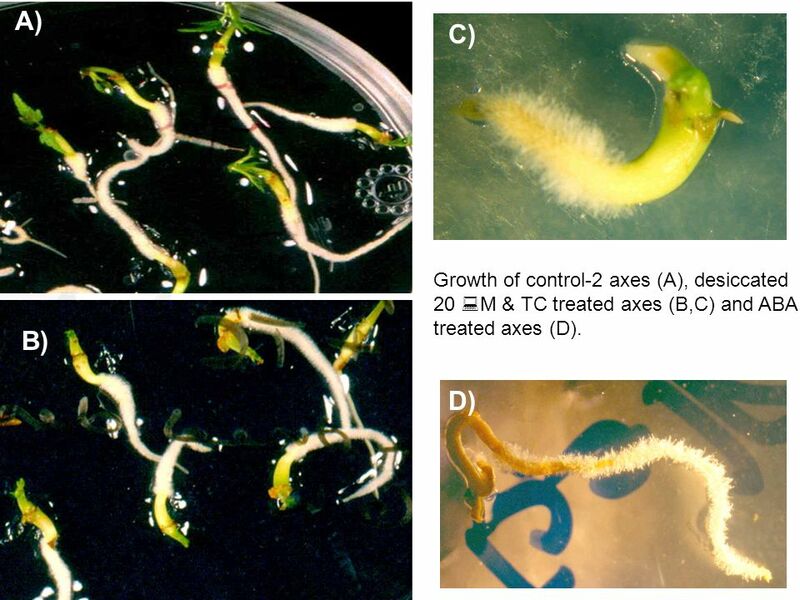 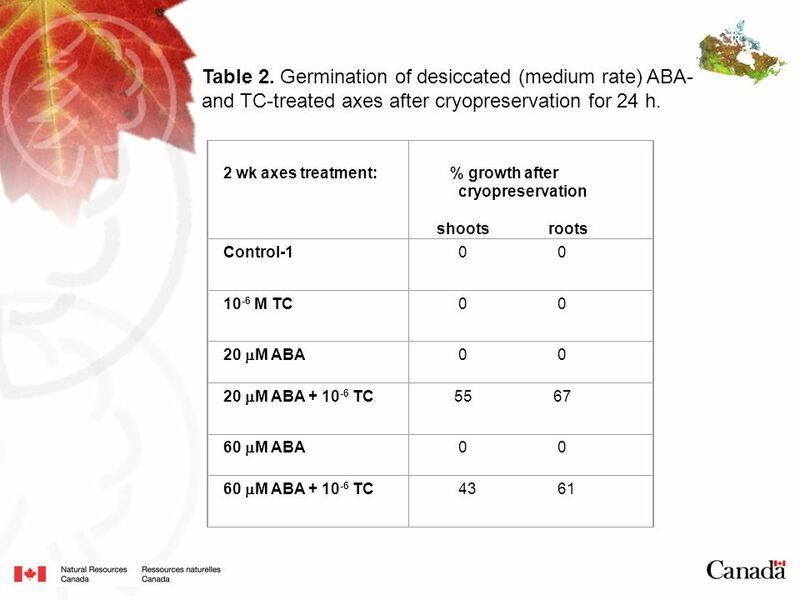 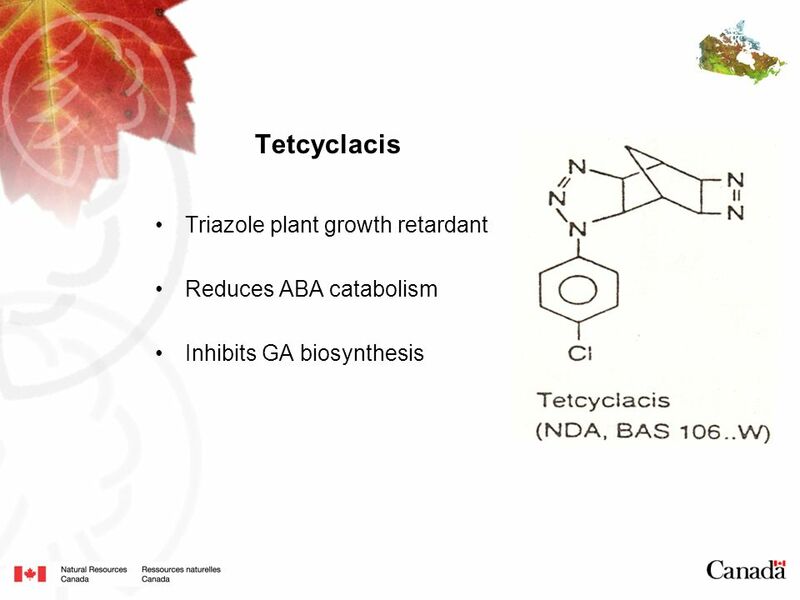 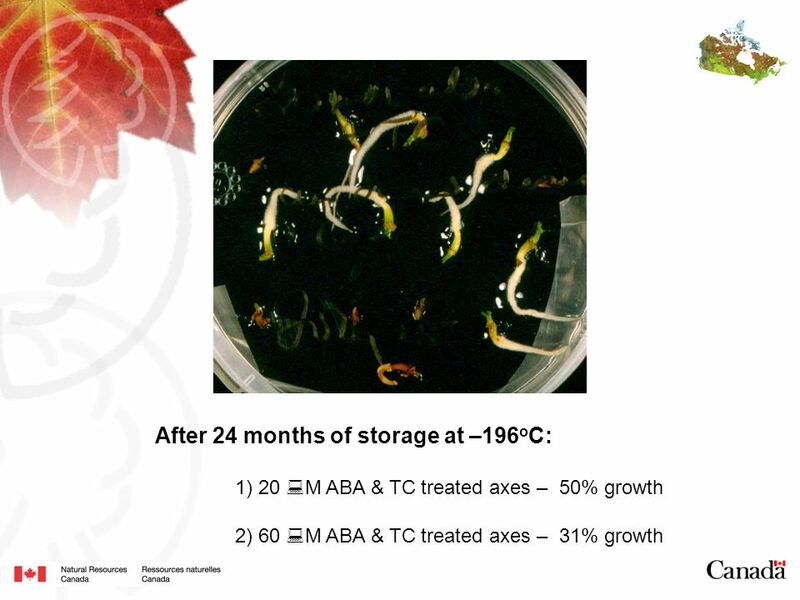 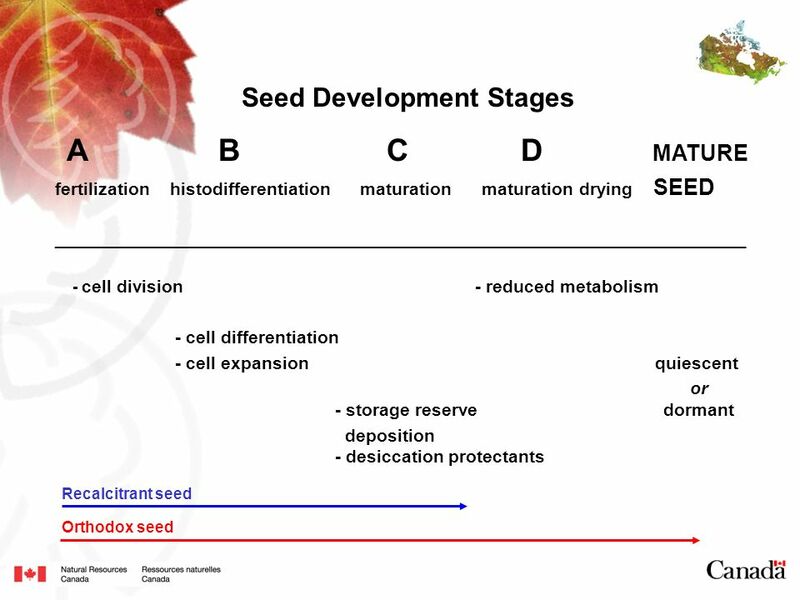 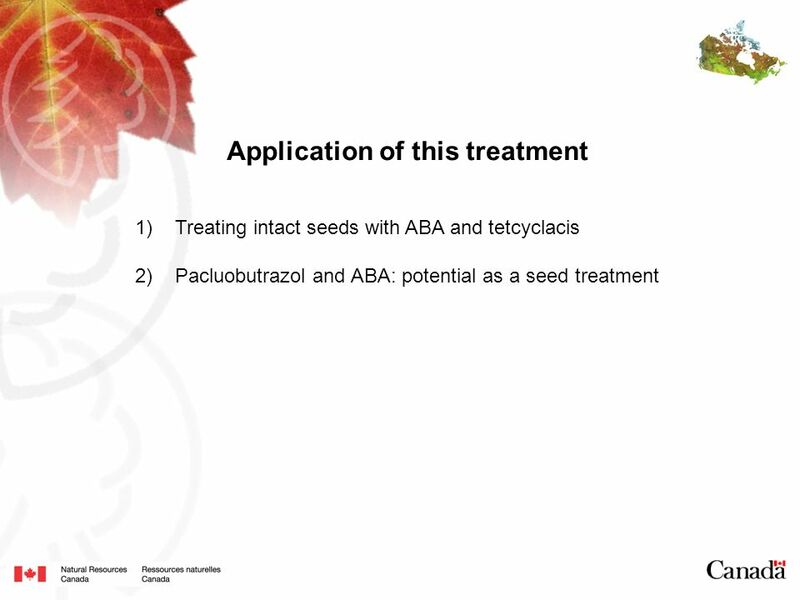 Germination of desiccated (medium rate) ABA- and TC-treated axes. 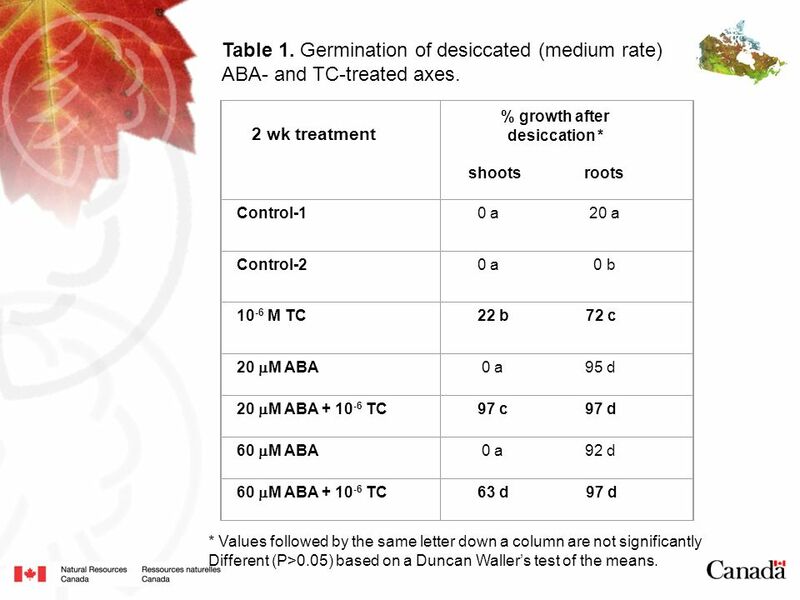 2 wk treatment % growth after desiccation * shoots roots Control-1 0 a a Control-2 0 a b 10-6 M TC 22 b c 20 M ABA 0 a d 20 M ABA TC 97 c d 60 M ABA 0 a d 60 M ABA TC 63 d d * Values followed by the same letter down a column are not significantly Different (P>0.05) based on a Duncan Waller’s test of the means. 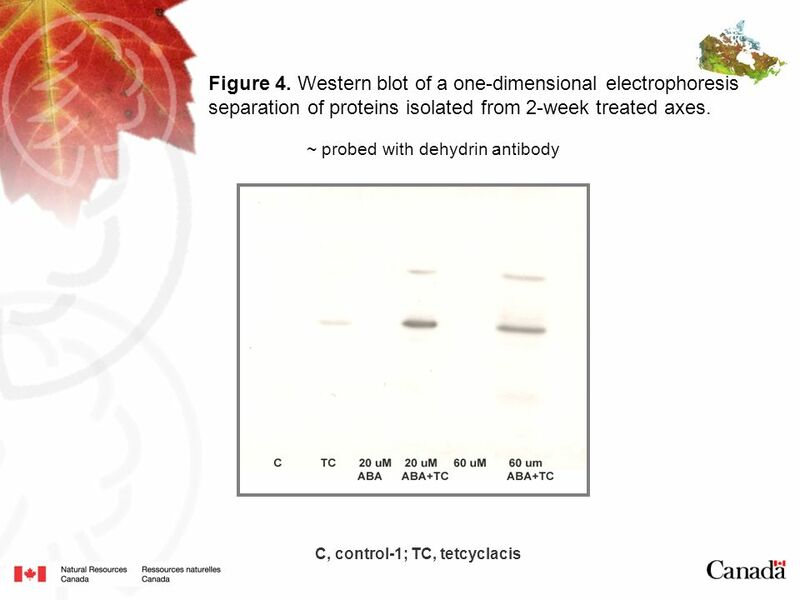 18 Figure 5. 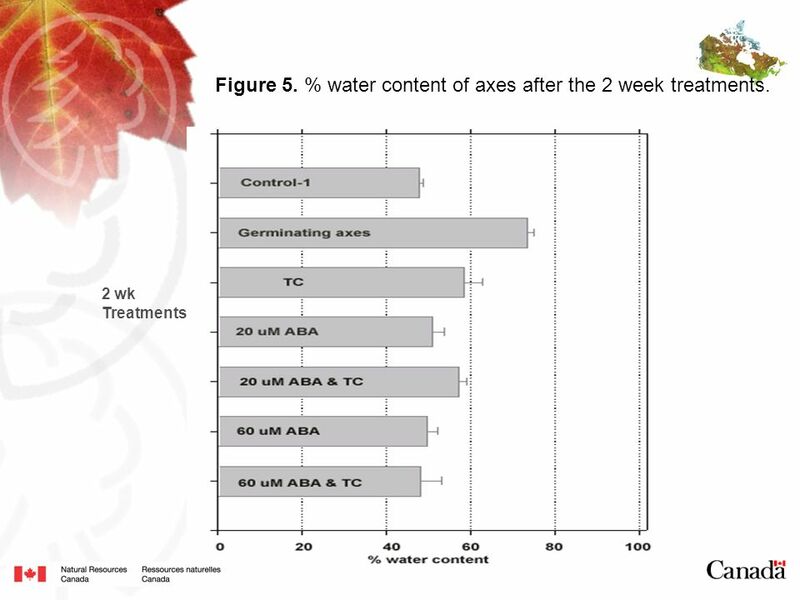 % water content of axes after the 2 week treatments. 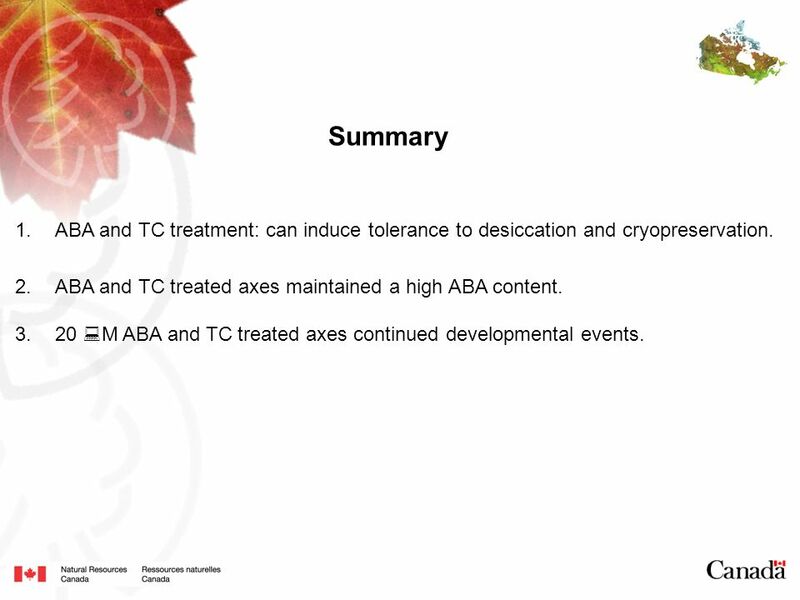 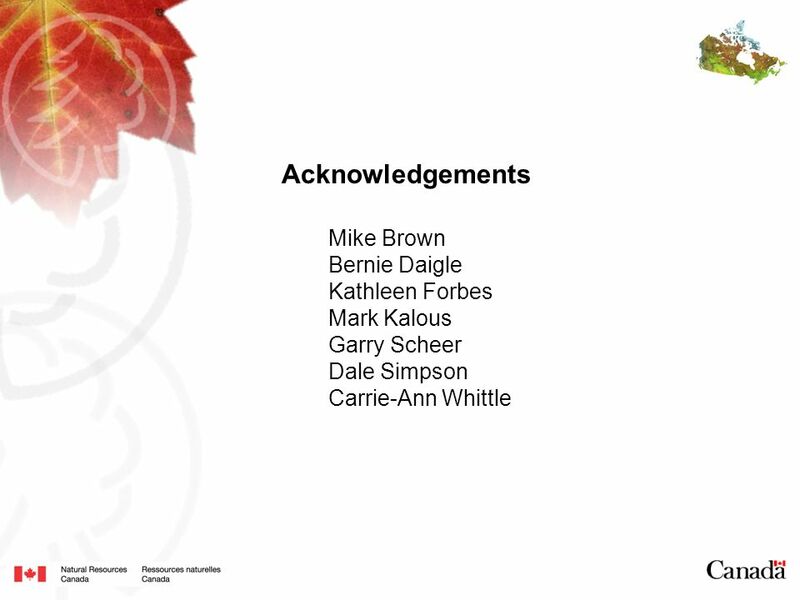 19 Summary ABA and TC treatment: can induce tolerance to desiccation and cryopreservation. 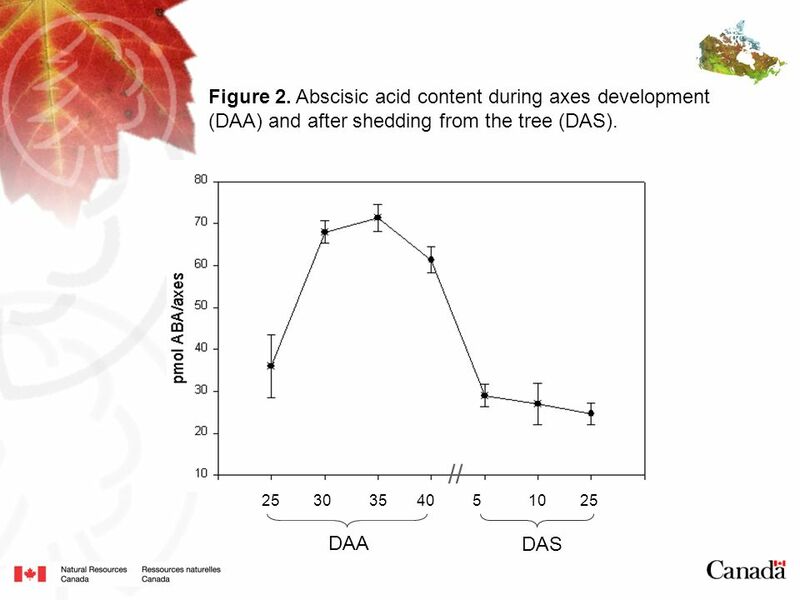 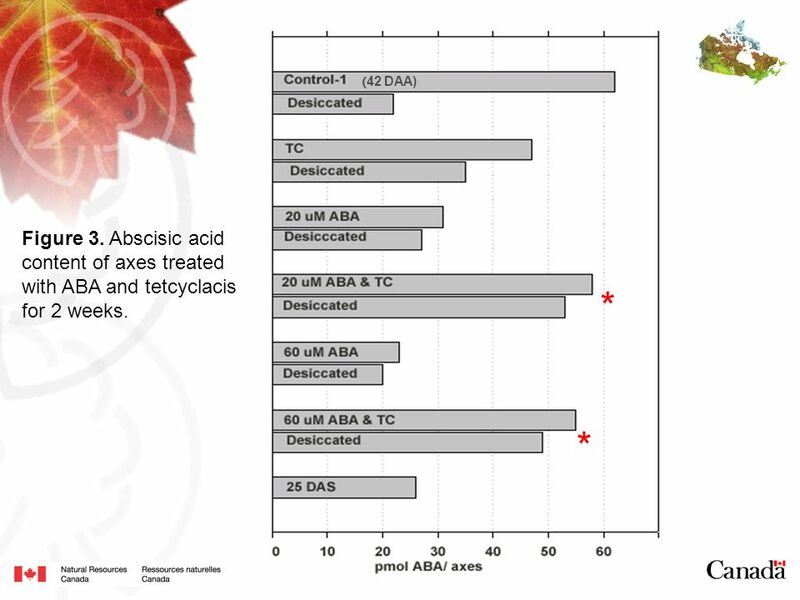 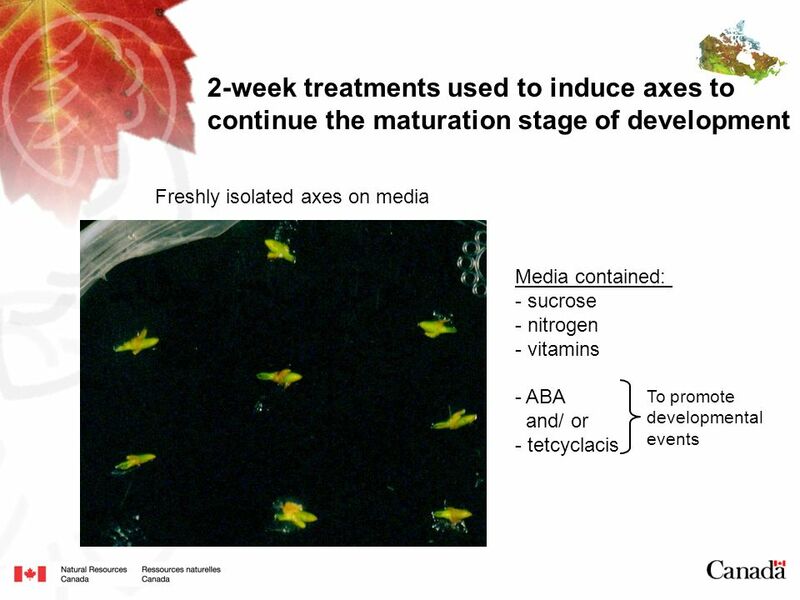 ABA and TC treated axes maintained a high ABA content. 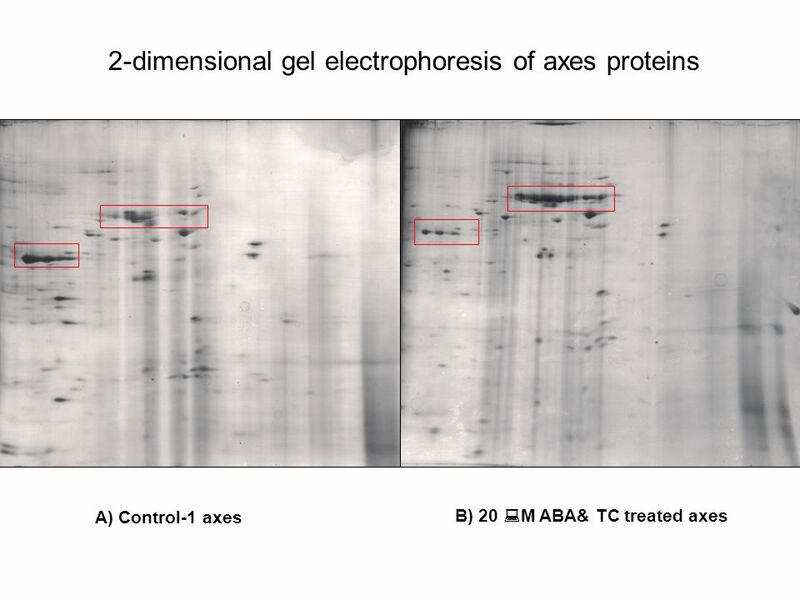 20 M ABA and TC treated axes continued developmental events. 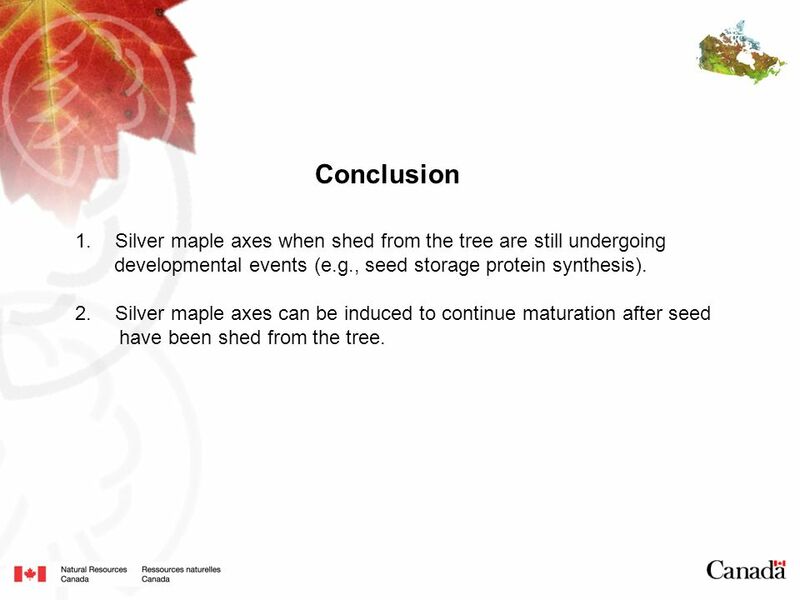 20 Conclusion Silver maple axes when shed from the tree are still undergoing developmental events (e.g., seed storage protein synthesis). 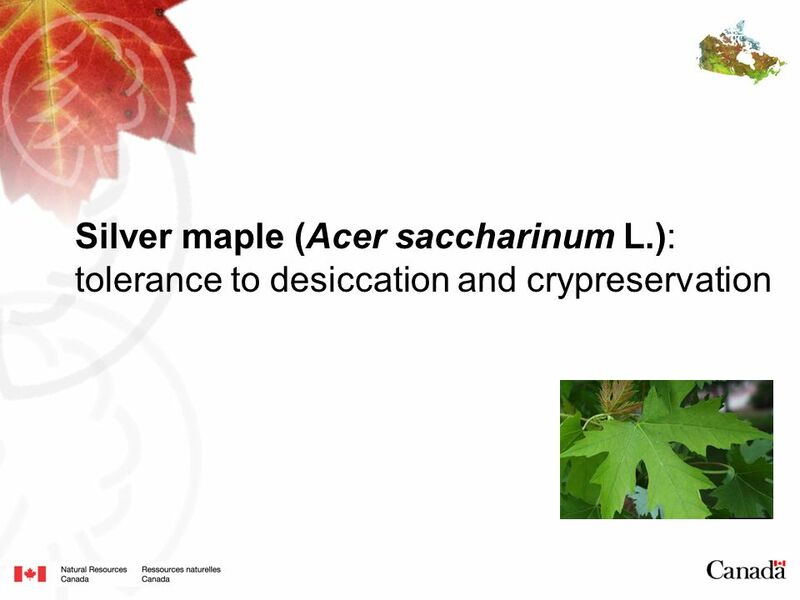 Silver maple axes can be induced to continue maturation after seed have been shed from the tree. 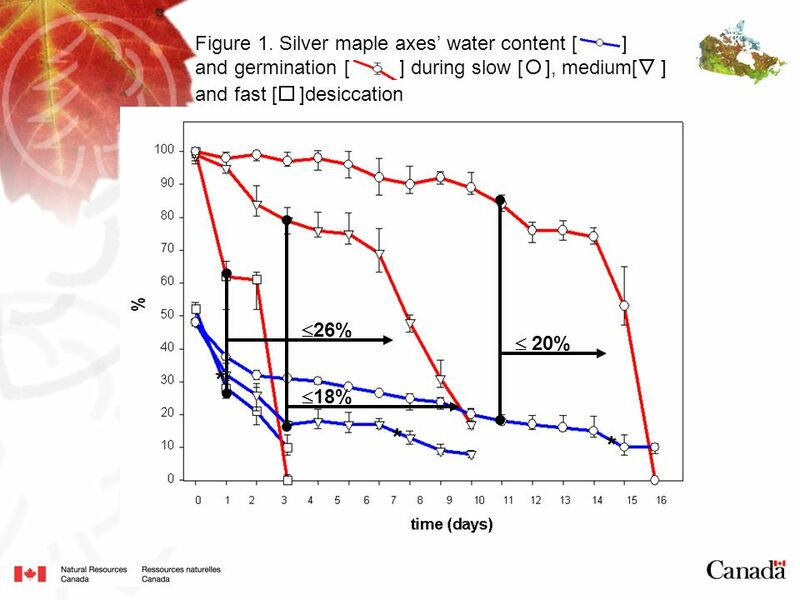 Download ppt "Silver maple (Acer saccharinum L"
Effect of Soaking, Moist Chilling, and Temperature on Germination of Striped Maple (Acer pensylvanicum) Seed Anthony Bourgoin and Dale Simpson Canadian.